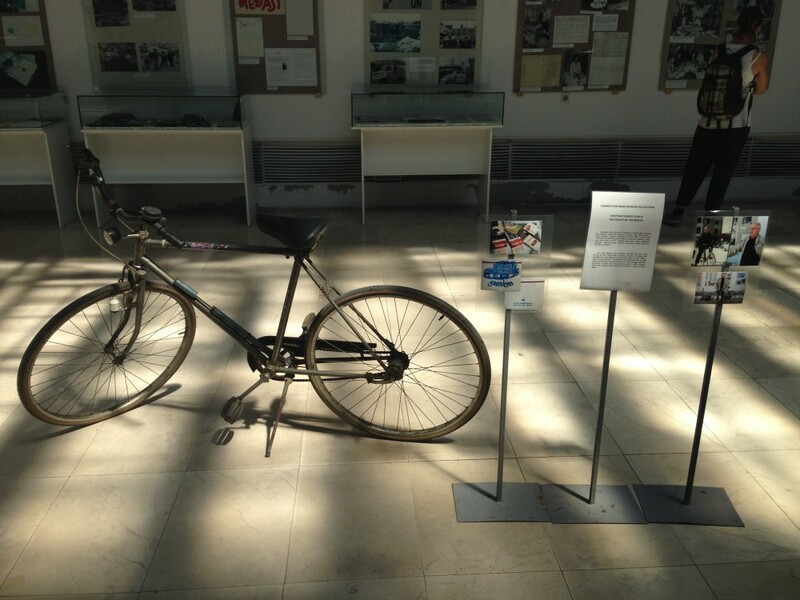 To visit Sarajevo is to witness the aftermath of a devastating miracle. For three years, from 1992-1995, a near-constant barrage of bombs fell and bullets sped and bled through Sarajevo while the city was surrounded almost entirely by the Serbians during the Bosnian War following the breakup of Yugoslavia. The tragedy is famously known as the Siege of Sarajevo. Surrounded almost entirely by Serbian forces perched in the encompassing mountains, Bosnians were, for the most part, trapped and unable to move in and out of the city. Going out on the streets to fetch water meant dodging a barrage of sniper bullets tfrom the surrounding mountains. The people built underground networks of tunnels to safely navigate the roads. Gas stations were empty and cars, therefore, inoperable.The only way to safely enter or exit the city was through a secret underground tunnel, or by sprinting through the night by the UN-occupied airport, more than hoping to go unnoticed. Today, cemeteries fill every spare nook and cranny of open space in the city, mostly from deaths between 1992-1995, when the siege happened. Buildings still show signs of heavy destruction. To a traveler visiting for a few days, every experience is painted with the ramifications of the siege and the war. The siege ended less than 10 years ago with Bill Clinton and other international parties convincing former Yugoslavian leaders to meet in Ohio to sign the Dayton Agreement to end the Bosnian War. 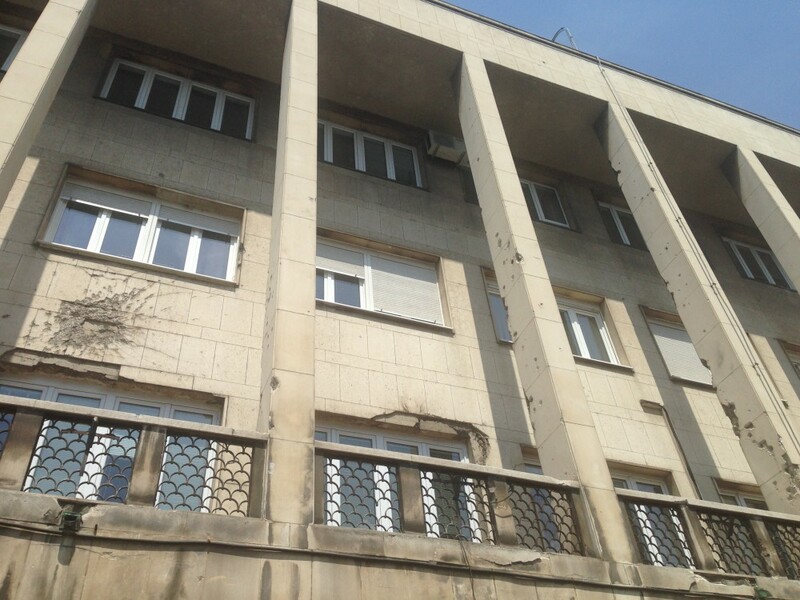 Former chaos is preserved in architectural open wounds from the bullets and bombs of the 1990s. The only ‘safe’ way in or out of the city during that time was through a secret tunnel that traveled under the UN-occupied airport. 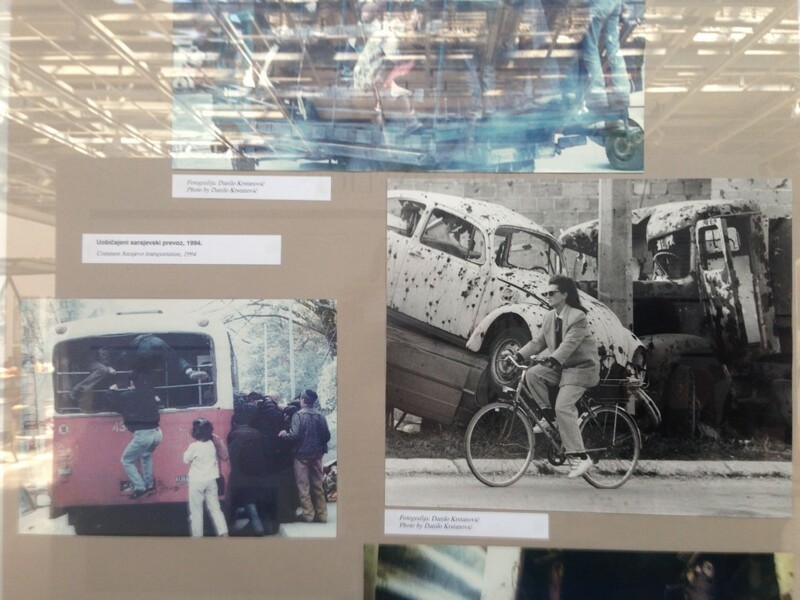 Sarajevans also had the option to sprint for their lives through the narrow corridor that led to the small section of the surrounding mountains that the Bosnians didn’t control, but the UN had a habit, as the story goes, of shining a spot light on people who fled, thus making them easy targets for sniper fire. And then, of course, I notice the bicycle. Intrigued by the description of the bicycle as a useful tool for safe transportation, I brought it up to our Balkan Han hostel-owner, Unka. He had remained in Sarajevo for the first three years of the siege, and told me that the first year or so during the siege was actually a rather good time because he got to know his neighbors better than ever before and because they, being the crazy guys they were, made a good time of it despite the chaos – music and theater and moonshine abounded! After three years, too much was too much, so he finally decided in 1995 to risk the sprint past the sniper fire and UN-controlled airport. He survived the flight and moved to Russia just a few months before the siege would end (who could have known!). “If you had a bicycle during that time, it was like having a Ferrari.” Having a car during the siege meant you had nothing because there was no gas in the city. With a bicycle, you were faster than a person walking or running, which is good for dodging bullets and fetching water. On the other hand, a person on a bicycle is also a smaller target than a car. Although the bicycle is spoken about in these stories as the safest mode of getting around the city during the siege, it certainly wasn’t safe. Renowned photographer, Annie Lebowitz, took the last photo posted below that is singed with tragedy, apparent innocence, and human presence. And on a final note, it really would be quite interesting to visit Serbia and see how they speak about and present the Siege of Sarajevo, and the larger Bosnian War, in the 1990s. 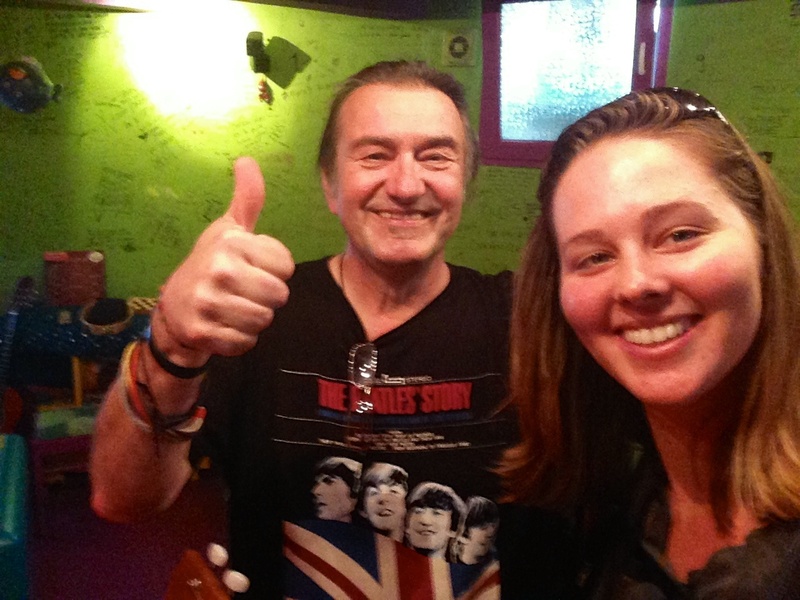 Unka, the self-described Beatles-loving hippie, and I take a selfie after our bilingual ukulele duet in Bosnian and English of The Animal’s House of the Rising Sun. 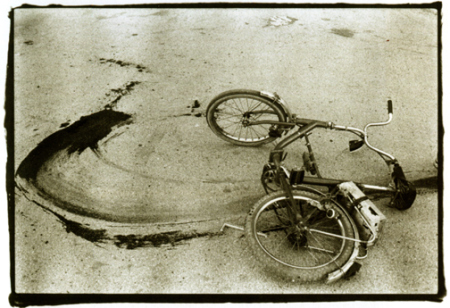 Annie Leibovitz’ Bloody Bicycle photograph taken 1993 during the Siege of Sarajevo. Image sourced from the blog, Venetian Red.